Located in the valley of Tuul river, the Bogd Khaan Palace Museum, formerly known as the Green Palace, was built between 1893-1903 and served as an official residence of Mongolia’s Theocratic Ruler, the Bogd Khaan up until his death in 1924, and was from where he reigned over the country and conducted affairs of state and religion. Those who would like to learn about Mongolia’s rich Buddhist art and culture, and revolutionist history of Mongolia’s independence movement between 1911-1921, the palace museum offers welcome opportunity. It may take a good two hours to grasp overview of the artefacts in the palace museum. A large collection of historical and valuable items that pertain to the 17th- the 20th century Mongolian theocracy, politics, religion, art and culture is carefully protected by the museum including items and personal effects that belonged to the Bogds (Saints) of Mongolia, from the 1st Bogd Under Gegeen Zanabazar to the 8th Bogd Javzandamba Khutagt, including the ebony wood hat bestowed upon the Undur Gegeen Zanabazar from the 5th Dalai Lama, the exquisite black fox fur coat given to the Under Gegeen Zanabazar from the Manchu Qing Dynasty Emperor, as well as ornamentation that feature the 12 animals of the zodiac, and a impressive selection of ebony food furniture. 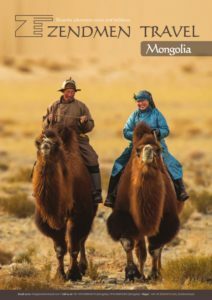 A must see arts include “One day in Mongolia”, the 19th century painting by Marzan Sharav, the 21 Tara, sculptures that single casted, gold gilded by the Bogd-I Zanbazar in the 17th century, who are know as Mongolia’s renaissance artist, equated with Michael Angelo. Mongolian artist, B.Sharav displays individual style, personal vision, exceptional technique, and a synthesis of artistic influences in his works. 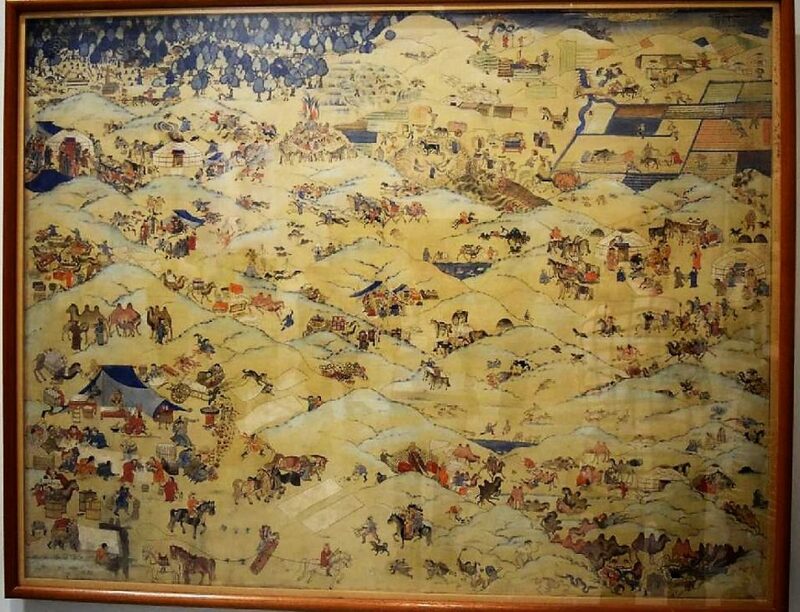 His masterpiece ‘One day in Mongolia’ portrays social life and conditions of nineteenth century Mongolia from historical, ethnographic, and religious perspectives. The Green Tara, made using the bronze casting technique and gilt gold, is regarded as one of Zanabazar’s finest creations and is registered as a Priceless Item of Mongolian Culture and Heritage. 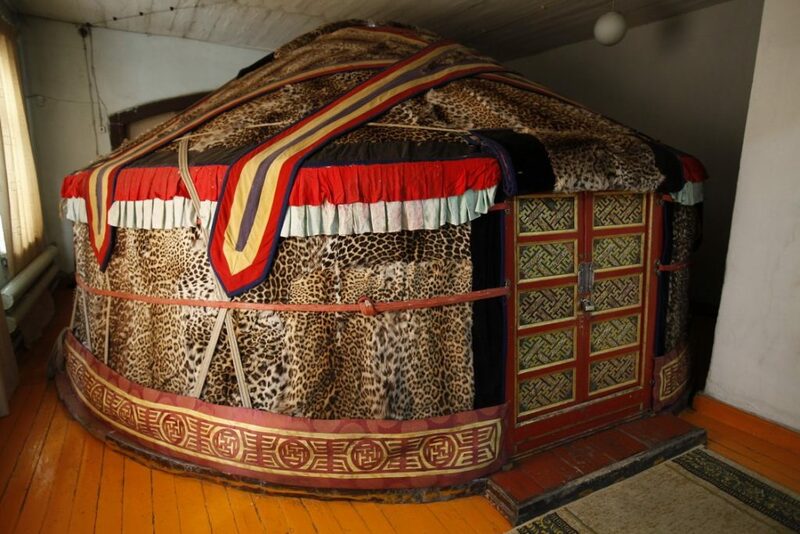 A ger, made of 150 skins of leopard, was presented to the Bogd Khan and was occasionally assembled in the wilderness to house Bogd Khan while he meditate. Nowadays, it’s one of the fascinating exhibits of the museum.